Salem, IN. 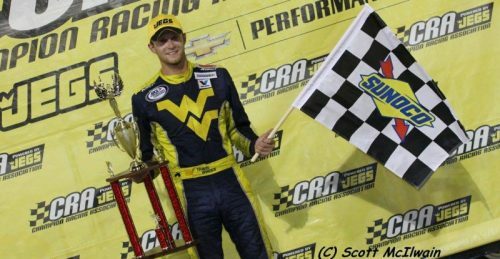 (August 2, 2016) – 2013 and 2014 ARCA/CRA Super Series Champion Travis Braden dominated in leading all 125 laps in winning Saturday night’s Bud St. Amant Memorial 125 Presented by JEGS.com at Spitzer Motor Speedway with the JEGS/CRA All-Stars Tour Presented by Chevrolet Performance. The win didn’t come easy as Braden had to fight off challenges over 10 restarts to secure the win. 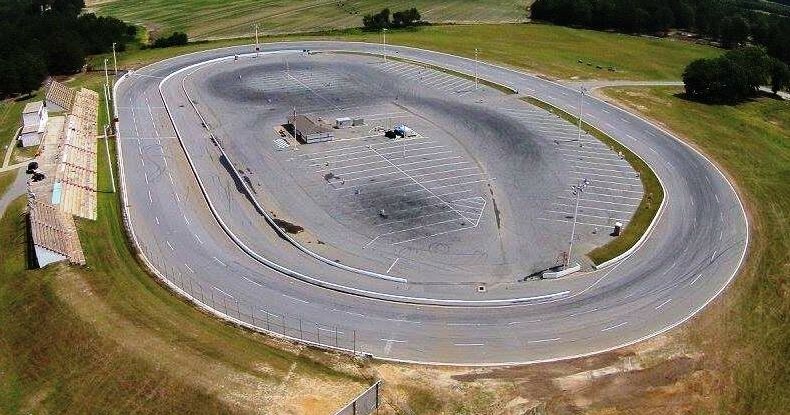 Braden was the winner of the first Bud St. Amant Memorial event in 2014 at Columbus Motor Speedway and got the win in what was announced as the last Bud St. Amant Memorial Saturday night. Braden got to start the event on the outside pole after Boyne Machine Company Fast Qualifier Tristan Van Wieringen drew a six for the events inverted start. Braden got the jump on the start from pole sitter Brandon Oakley to grab the lead that he would never surrender. 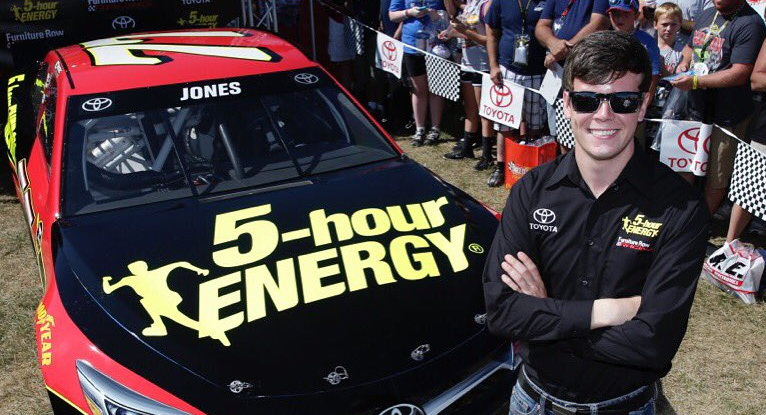 Braden battled Oakley on several early restarts, NASCAR Camping World Truck Series driver John Hunter Nemechek on several restarts in the middle of the event, then Trevor Noles on several late restarts, but each time Braden was able to pull away to take the lead and the eventual win. The winners share of the Bud St. Amant Memorial purse was a series record $8000. The win was the first CRA win for Bill Burba Motorsports who won the 2015 Owners Championship with the JEGS/CRA All-Stars Tour, with Mike Stacy running the first two events of the season before Braden took over and completed the season. Trevor Noles would finish in second and take the FLUIDYNE High Performance Cool Under Pressure Award for battling to stay in the top five throughout the event. 2013 series Champion and current series points’ leader Cody Coughlin would finish in third. Coughlin was involved in an early caution but his team was able to make repairs and Coughlin was able to come through the field and get the third place finish. Coughlin’s crew was awarded the PitBoxes.com Pit Crew of the Race Award for their efforts. With the second through sixth place teams in points all having issues and not finishing the race, Coughlin further extended his points lead Saturday night. Stephen Nasse finished in fourth place after starting 11th, which earned a Great Lakes Tire/Hoosier Racing Tire Performance Award. 13 year old Carson Hocevar finished in fifth place after having to go to the tail of the field after an early spin. Hocevar’s passes to get through the field earned him the Sweet Move of the Race Award. Dakota Stroup came from his 17th place starting position to finish in sixth place, earning Hardcharger Awards from Ilmor Engineering, T & K Trucking and Racing Electronics plus a Great Lakes Tire/Hoosier Racing Tire Performance Award thanks in part to help from Crew Chief Gary St. Amant. Jack Dossey III came from his 19th place starting position to finish eighth and earned the VanDoorn Racing Development Rookie of the Race Award. Jack Smith was awarded the KRC Steering Hard Luck Award after contact on the events start caused him to make hard contact with the turn three wall, ending his night before the event officially started. The next series event will be this Saturday, August 13th at Auto City Speedway in Clio, Michigan. More information on the JEGS/CRA All-Stars Tour Presented by Chevrolet Performance is available at www.cra-racing.com.